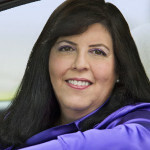 BJ Killeen, one of the first female automotive journalists in the country, has been testing and writing about automobiles for over three decades. A former Road Test Editor for Motor Trend magazine. BJ now freelances for numerous automotive titles and websites. She frequently co-hosts The Drive with Alan Taylor, which is broadcast to nearly 100 radio stations, and podcast on iHeart Radio, Stitcher, and more. BJ is a multiple winner of the prestigious IAMC awards, including the “Best of Radio,” and serves as a judge on numerous automotive competitions, including Concept Vehicle of the Year. A big racing fan, her love of automobiles started early, having been exposed to the field through her father, who owned an assortment of collector classics, such as a ’61 Austin-Healey 3000, a ’641⁄2 Mustang, and other vehicles. BJ, a native Southern Californian, is married to automotive photographer Scott Killeen, and is a two-year past president of the Motor Press Guild, the organization that represents almost 900 automotive journalists and industry representatives across the country.